Even though school starts back in early August around here, I still feel like Labor Day is the official beginning of fall. It's finally time for pumpkins and mums and boots and Halloween costumes. This girl is excited! 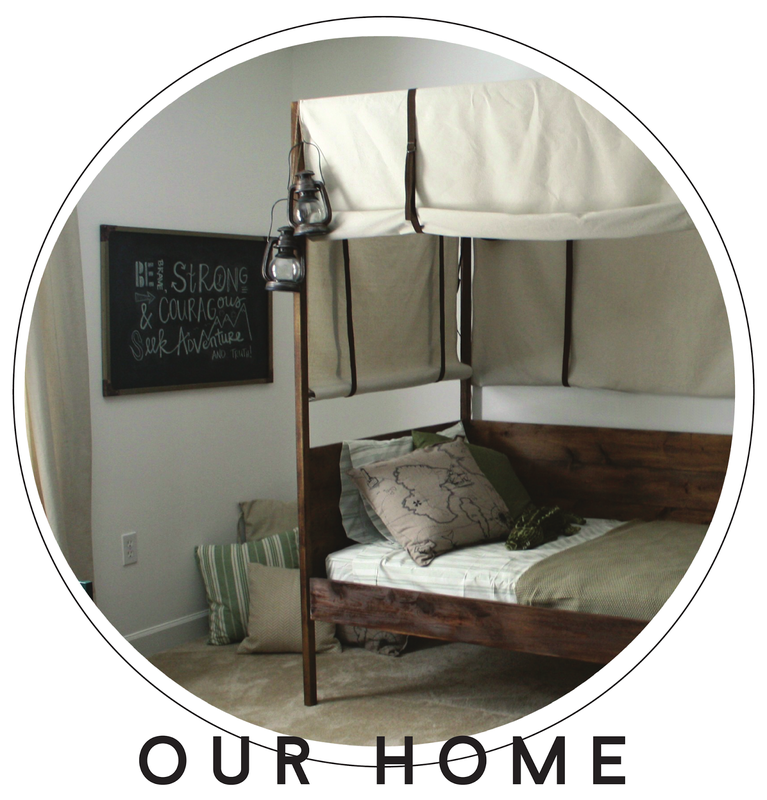 So I'm spending some time this week breaking out my beloved fall decor. First up is a new fall wreath for the door! This is a new take on my previous fall wreath from a few years ago. 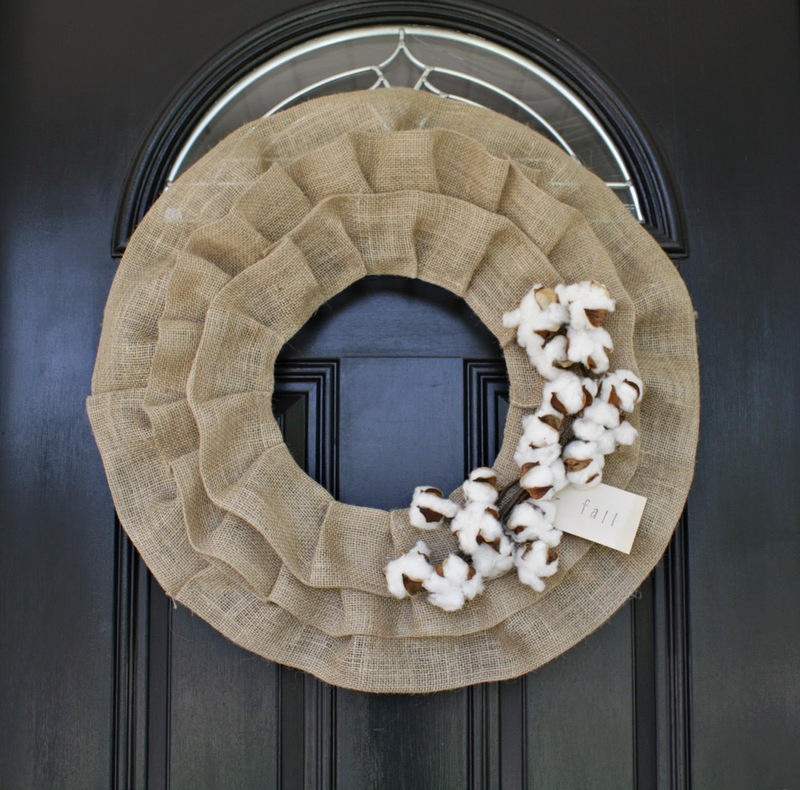 With this wreath, I gave it a bit more polished look, some extra layers, and added some glorious southern cotton! 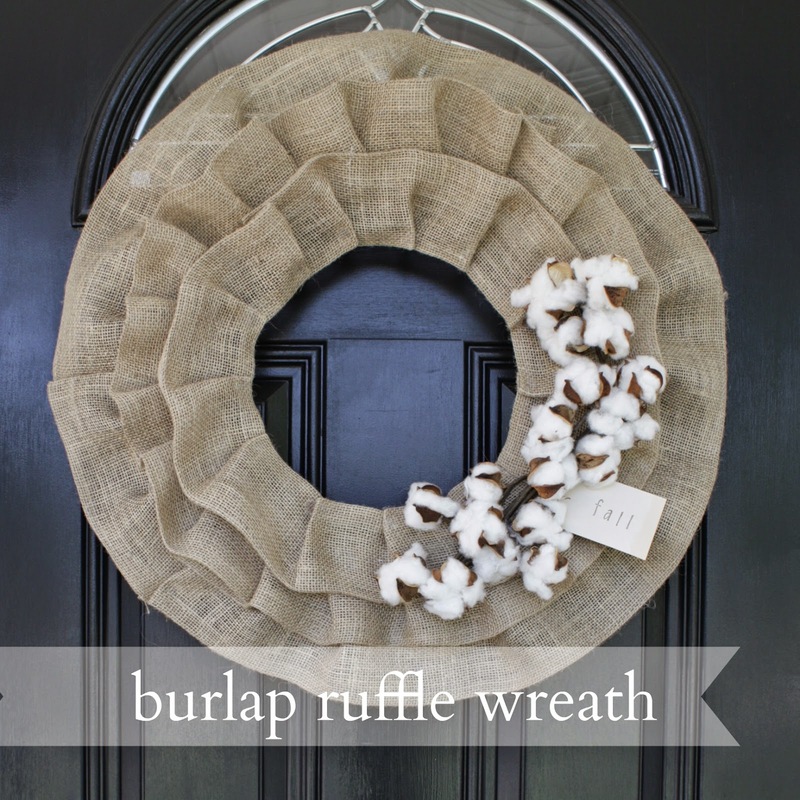 Start with a couple yards of burlap and a wreath form. 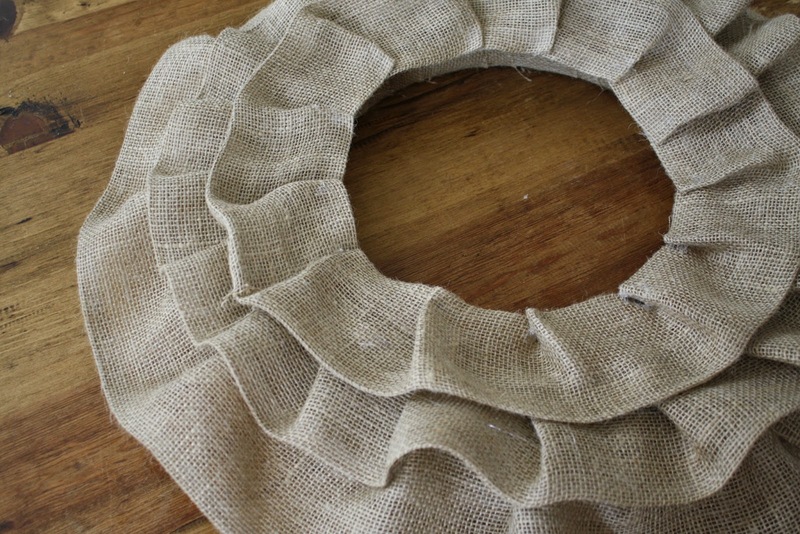 Cut a super long 4"-5" strip of burlap to wrap around the wreath form. 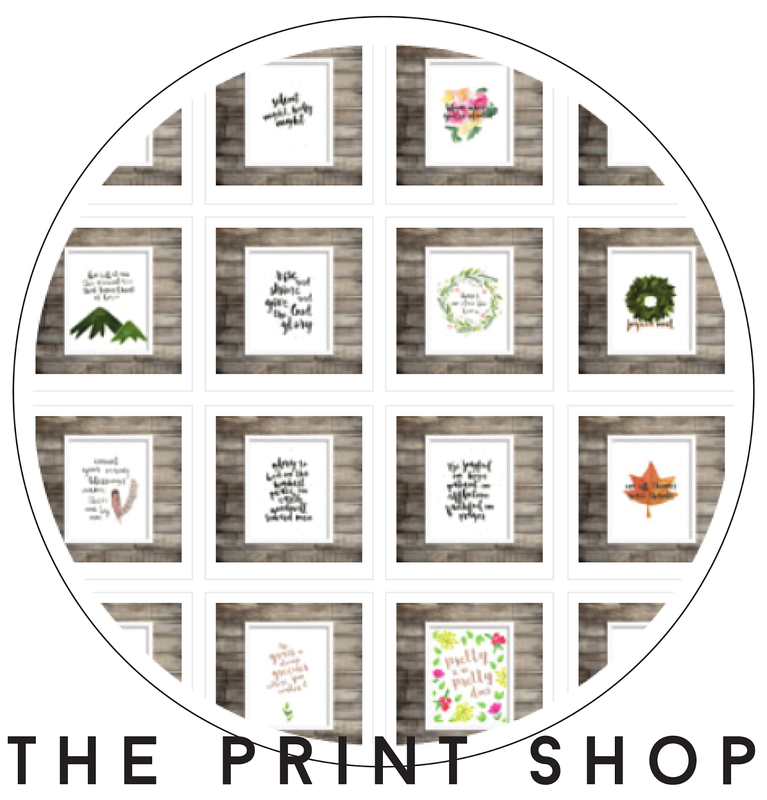 You can secure this with floral pins or hot glue. Now you'll cut another long strip for your first ruffle. 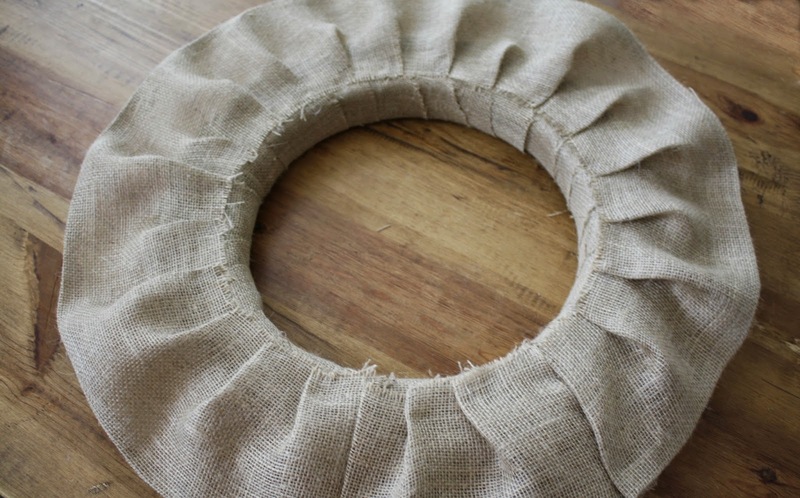 I wanted to make a clean looking wreath so I actually ironed the outside edge under. 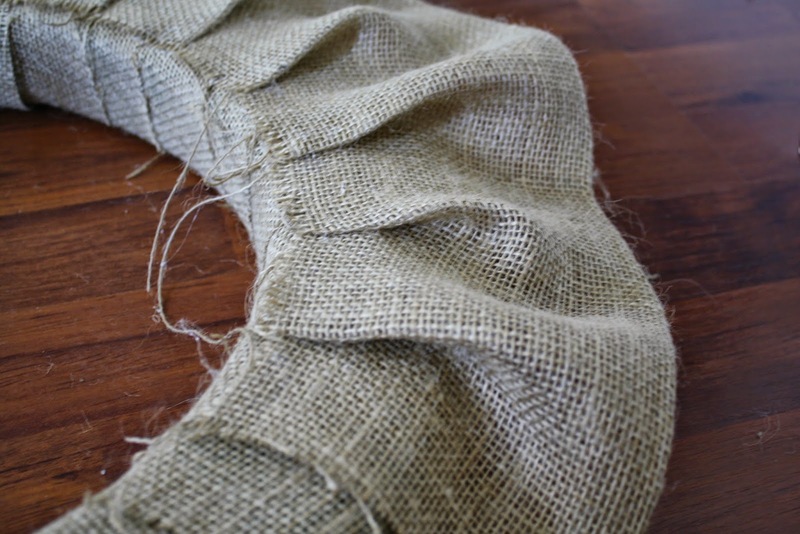 Burlap holds a ironed hem fabulously. 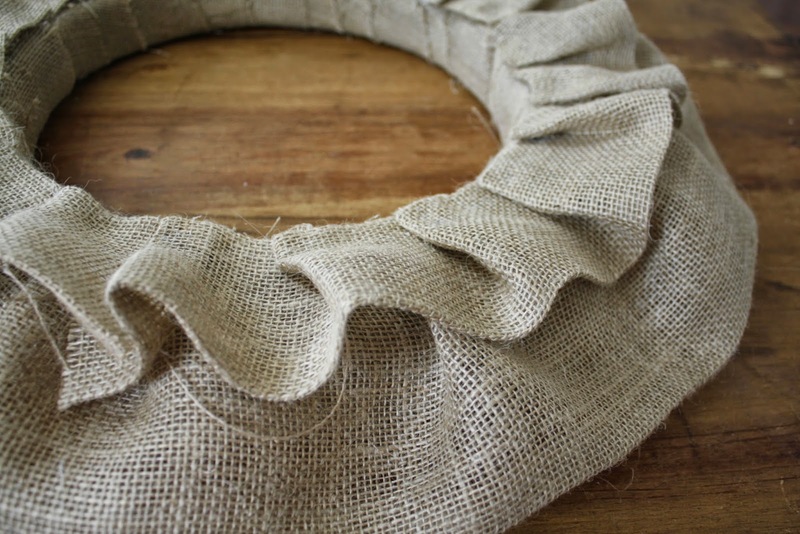 Glue/pin the edge of the burlap along the top of the wreath. 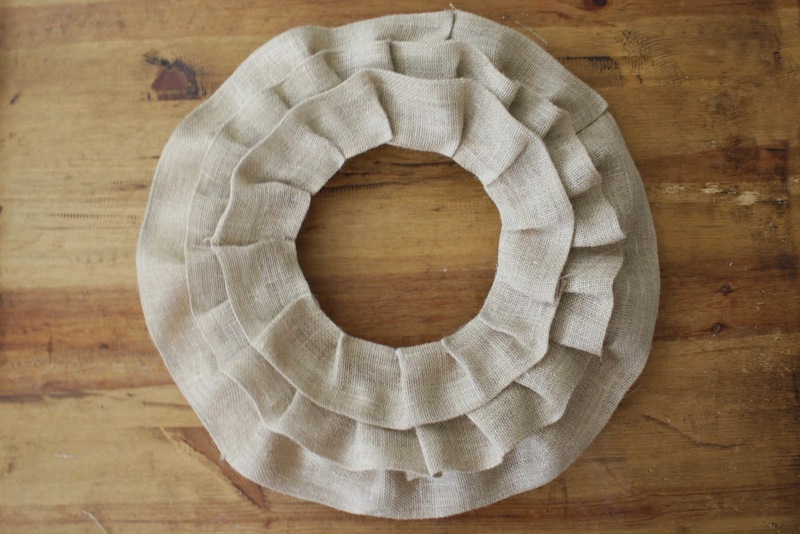 As you attach the ruffle, give it a little fold every few inches. Repeat with a second layer. 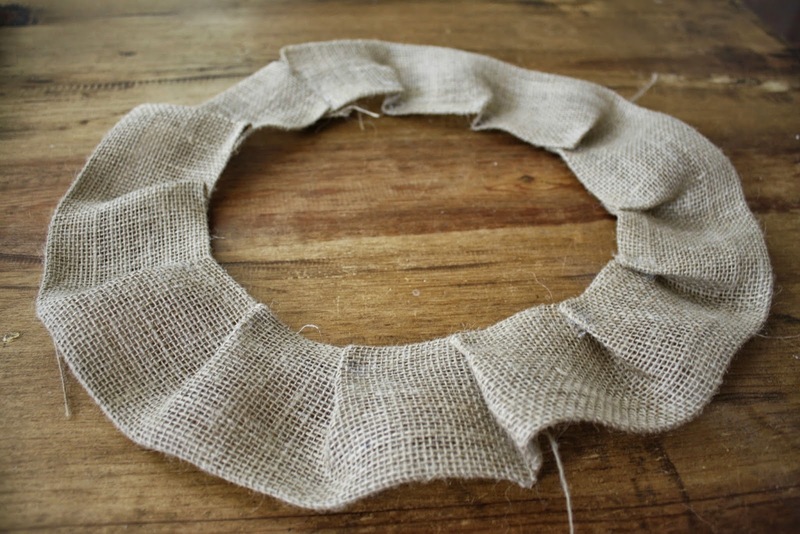 You can make the burlap strip a little narrower or you can attach it closer to the inside of the wreath so the bottom layer. Finally create the third layer. If you're ironing the hem like I am, be sure to fold under both sies this time since the whole circle is exposed on this layer. And a little differently from the previous layers, form the circle apart from the wreath first. 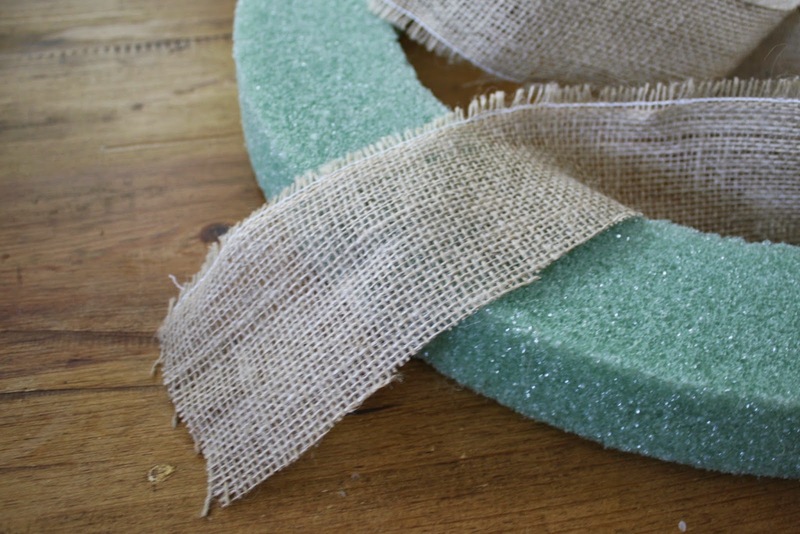 You're going to want this layer to fit almost on the inside of the wreath so you can't see the wreath form at all. 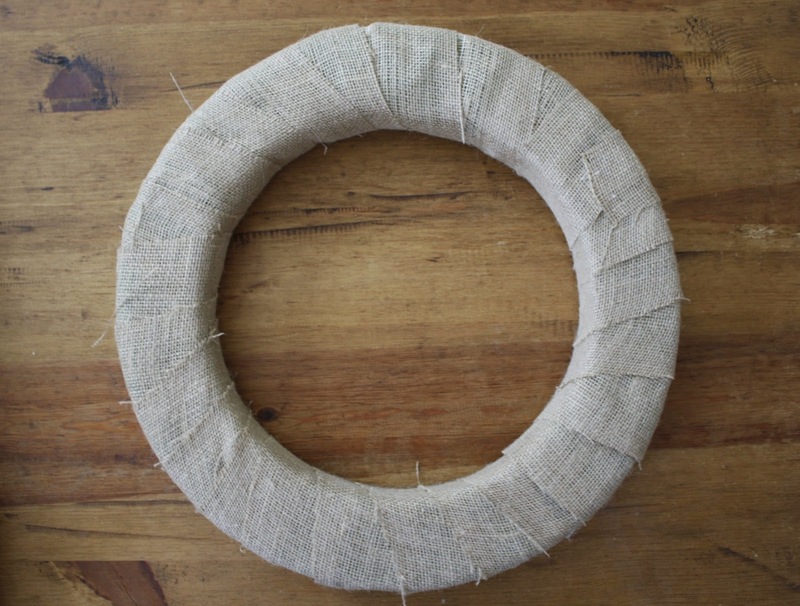 You may want to glance at your wreath as you create this layer to make sure you're sizing it properly. After your circle is complete, attach it to the wreath. 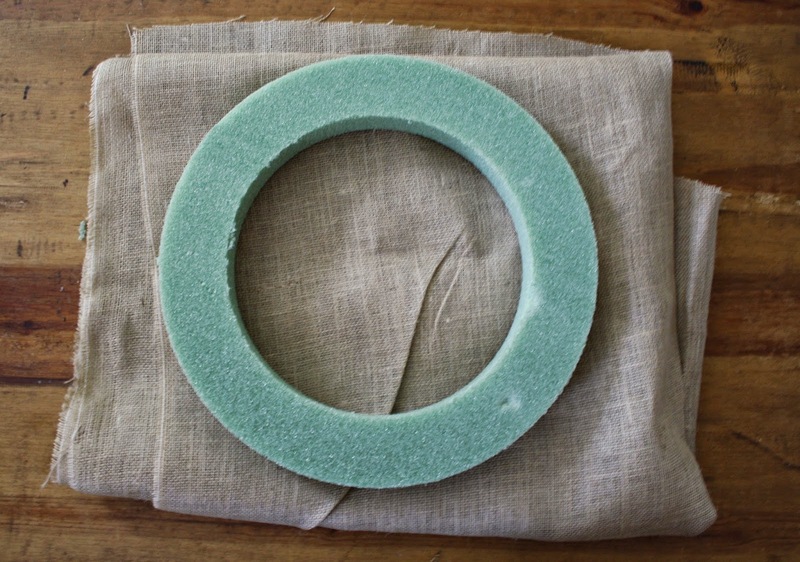 Instead of gluing the inside ring, this time you'll be gluing around the middle or outside edge to form. This now should basically cover the wreath form and any ugly edges. Now that your wreath is done, add in your fun items to jazz it up! 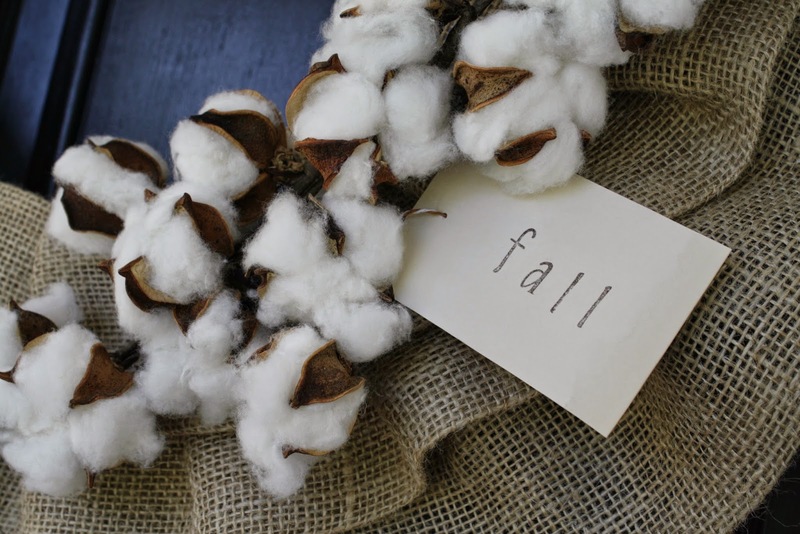 I decided to use a faux cotton boll stem and sweet little stamped fall tag. 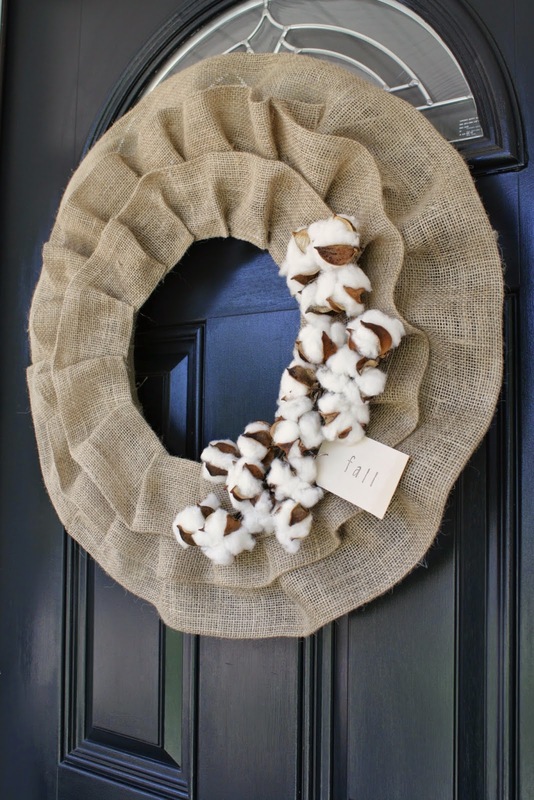 I'm loving this sweet fall wreath! Fingers crossed that it will help bring in some lower temps so I can break out my boots and sweaters! 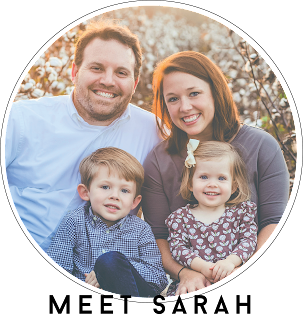 This is seriously so precious!!! !